“I hope you live a life you’re proud of. If you find that you’re not, I hope you have the courage to start all over again.” – Kai Greene. 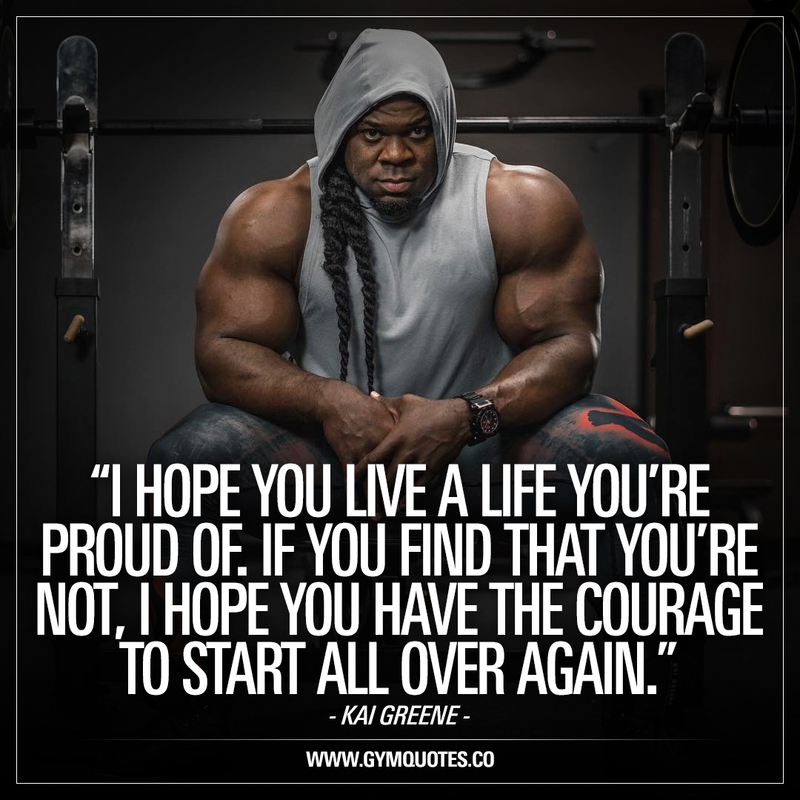 Just like IFBB Pro Kai Greene says in this quote: live a life that you’re proud of. Work hard, train hard, live life and make yourself proud. If you are not proud, then remember that it’s NEVER to late and you’re never too old to become better. Understand that where you are now and what you’re capable of becoming can be forever progressing. And don’t forget to join our FREE newsletter!